2 October 2016 marks the 147th birth anniversary of freedom fighter and non-violence movement advocate Mohandas Karamchand Gandhi. The charismatic leader guided India to Independence by inspiring countless with his methods of non-violent defiance of the British rule. The birth anniversary of the Mahatma is observed as the International Day of Non-Violence as a tribute to the philosophy he efficiently adopted on a political and national scale. Also known as the Salt March, the movement, held between March to April 1930, was an act of non-violent civil disobedience initiated by Gandhi. 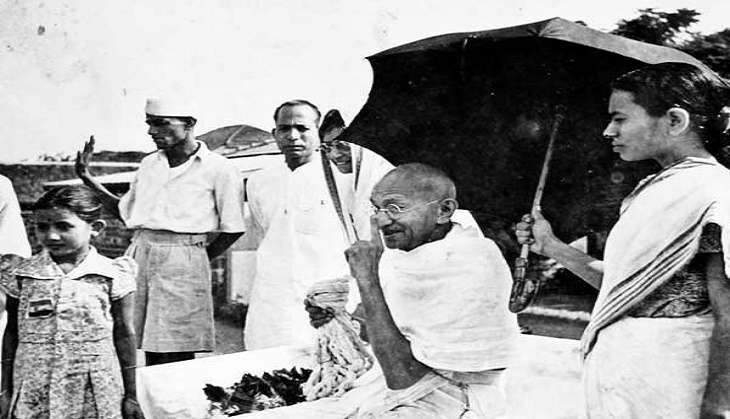 During the march, thousands of Indians followed Gandhi and covered a distance of some 240 miles to produce salt from the seawater in the coastal village of Dandi, as was the practice of the locals until British officials introduced taxation on salt production, deemed their sea-salt reclamation activities illegal, and then repeatedly used force to stop it. The march resulted in the arrest of nearly 60,000 people, including Gandhi himself. The Quit India Movement, also known as the August Movement, was launched by Gandhi for Satyagraha (independence). The movement was accompanied by a mass protest on non-violent lines, in which Gandhi called for "an orderly British withdrawal from India". Through his passionate speeches, Gandhi moved people by proclaiming that "every Indian who desires freedom and strives for it must be his own guide." The main object of the Khilafat movement was to force the British government to change its attitude towards Turkey and restore the Turkish Sultan (Khalifa) to his former position. A Khilafat committee was formed under the leadership of Ali brothers. In February 1920, Gandhi suggested that the Khilafat committee adopt a programme of non-violent non-cooperation to protest the government's behaviour. On 9 June 1920, the Khilafat committee accepted his suggestion and asked Gandhi to lead the movement - something which which would later give birth to the non-cooperation movement. This movement was launched against the British empire after several hundred Indians were killed at Jallianwala Bagh. The movement was aimed at giving up government titles, boycotting government educational institutions, the courts, government service, foreign goods, and elections; and the eventual refusal to pay taxes. The movement was called off after an angry mob killed British officers by setting a police station on fire in Chauri Chaura. The mob also burned down the police station killing 23 police officers. After this incident, Gandhi himself called off the movement as the supporters had chosen a path of violence. The Champaran peasant movement was initiated by Gandhi, two years after he returned to India from South Africa. The struggles of the people of Champaran (Bihar) were taken up as a reformist movement. The objective of the movement was to create an awakening among the farmers against the European planters. These planters resorted to illegal and inhuman methods of indigo cultivation at a cost which failed to compensate for the labour done by the agricultural workers of Champaran.